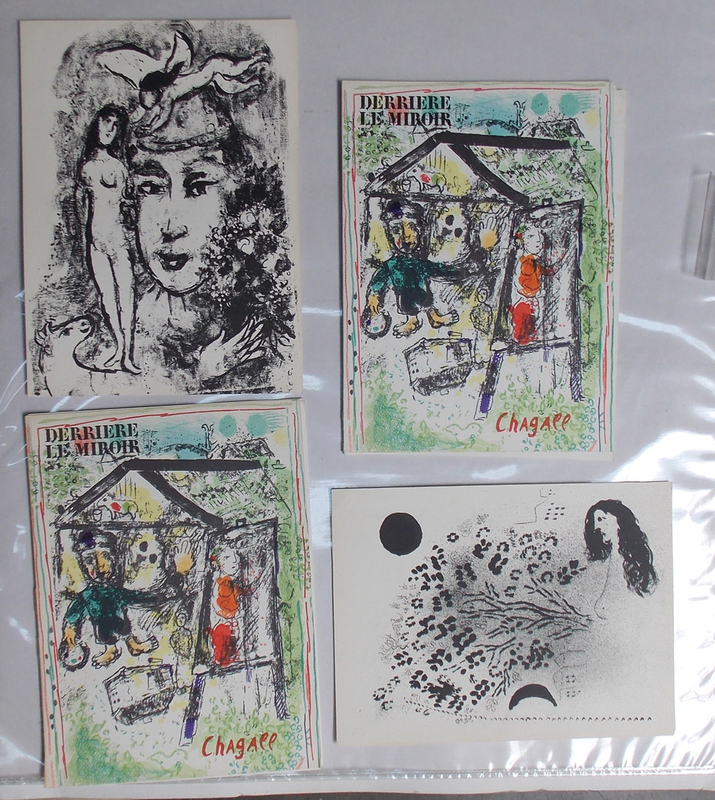 References: Recorded and illustrated in the standard text on the original lithographs of Chagall by Mourlot, no. 281. Note: This lot consists of two issues of D.L.M. No. 182, Dec. 1969 with original lithographs for the covers (lacking the double page lithograph found originally on pages 4-5) plus two black and white lithographs by the artist from D.L.M. or similar.